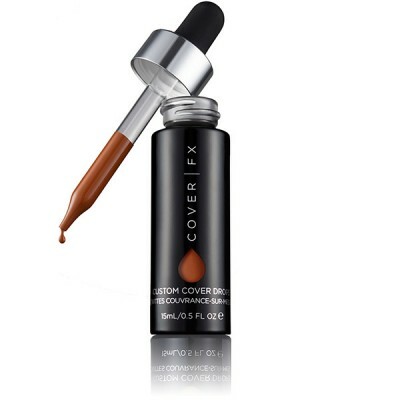 I just received a very exciting email from Cover FX… Drop everything for their new product – Custom Cover Drops. 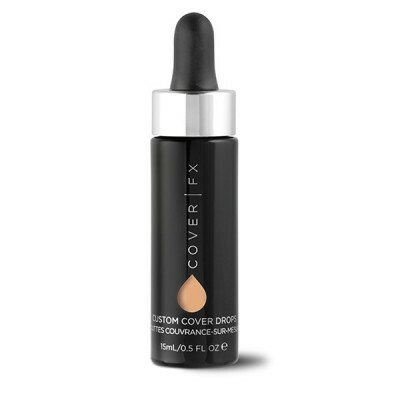 Custom Cover Drops are pure pigments and can be added to a huge range of things in your makeup bag including moisturisers, oils, serums, primers, tinted moisturisers and foundations. Cover FX state that texture doesn’t matter which is great as some follow the unwritten rule of not mixing together different textures – BYE rule book! We’re told it’s really simple… Drop your favourite product, add your desired drops, mix together and GO! Coverage depends on how many drops you use starting at one drop for a sheer coverage through to four drops for a total coverage. If the 5 star ratings are anything to go by this could transform your beauty regime. You have the perfect moisturiser but could just do with a little coverage with it, your prayers are answered… Add a drop of custom cover drops. It’s that simple. Tinted moisturiser is all you wear, having a bad skin day… Add a drop or two of custom drops. Writing this I’m thinking to myself still – This is bloody brilliant!! Love a foundation but it’s just not enough coverage for you. It is now. You can buy whatever you like and think to yourself if I ever need just a little more one day it’s not a problem anymore. Unfortunately us UK’ers have to wait a little longer I’m told. It will be arriving at House of Frazer very soon. I shall just be waiting eagerly until then. Check out #dropportunity on all Social media in the mean time to see the US going crazzzzzzzy for it! I will be blogging on it as soon as it’s out so until then, keep dreaming!… (It’s coming). Soon.